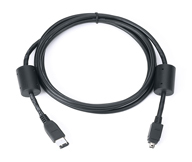 IEEE 1394 15 Cable. 4-pin (camera) to 4-pin (computer) connection. Compatible with EOS 1D Mark II.